Over the past several weeks, I’ve shared some startling facts about the dire need for clean water in many rural Indian villages. Today, I want to tell you what IGL is doing to meet this need, and how you can make a big impact with the gift of a water well. As barefoot pastors head out into villages, leading with the gospel and planting churches, they establish thriving, Christ-centered communities that overflow in love. 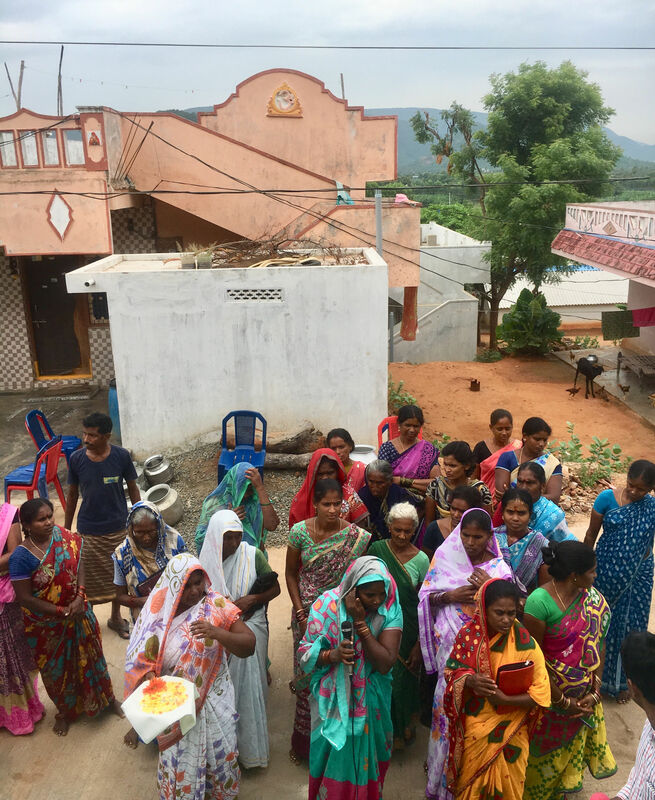 One way that India Gospel League seeks to demonstrate the generous, overflowing love of God is by helping our local churches to provide clean water in their villages. Many rural villages do not have “at least basic water“, meaning women must make multiple trips each day to find water for drinking, cooking, and hygiene. The need for clean water is so obvious and so great, that it is often a primary concern for our local pastors. Once a church is established in a village, these pastors are able to apply to have a well drilled in their community. Each application is reviewed in our IGL India offices, and is evaluated based on the relative need of that village. When an application is approved, the pastors then work with local officials to coordinate zoning applications, permits, etc. Not unlike construction work everywhere, this part can take a painfully long time – typically 6 to 12 weeks. When documentation is finally complete, IGL releases funding, and pastors hire local companies to drill the well! A ribbon-cutting ceremony kicks off the opening of the new well. A representative from IGL joins the church and villagers for a wonderfully exciting day that typically includes a Bible teaching, singing, treats, and of course – collecting clean, fresh water! These wells are almost always drilled near the church, and are available for the use of anyone in the village. What a gift! 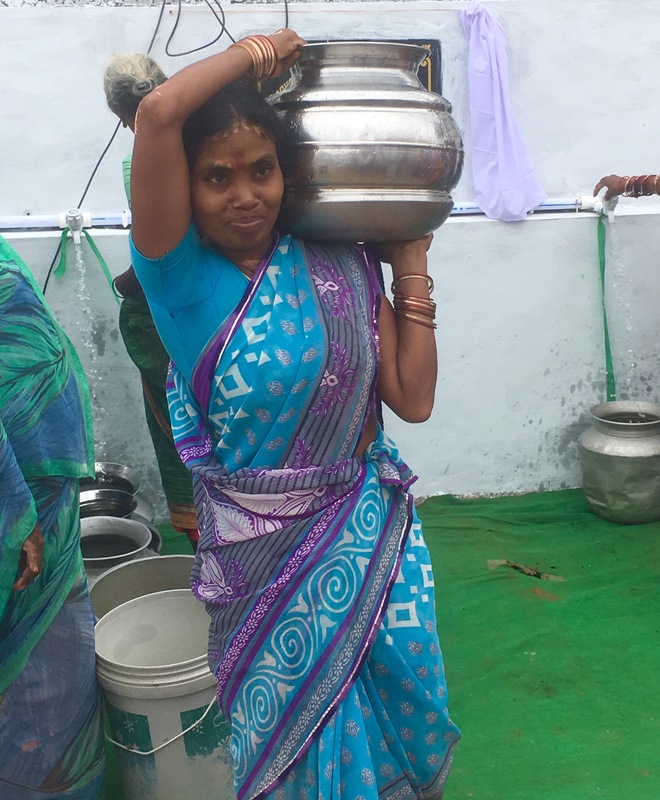 Because of the “boots on the ground” infrastructure of IGL in India, and the relationships built with barefoot pastors and their communities, you have a direct line to give the gift of clean water to a parched village. It’s truly amazing how much “bang for your buck” you get when you give in India, and donating an IGL well is an exceptional value. Each well costs $1,250 from start to finish. This is something a family, a small group, a Sunday school class, or a group of friends could go in on together. What a privilege for God’s children to be able to share His resources in such a practical and refreshing way! Take a step toward providing water today!